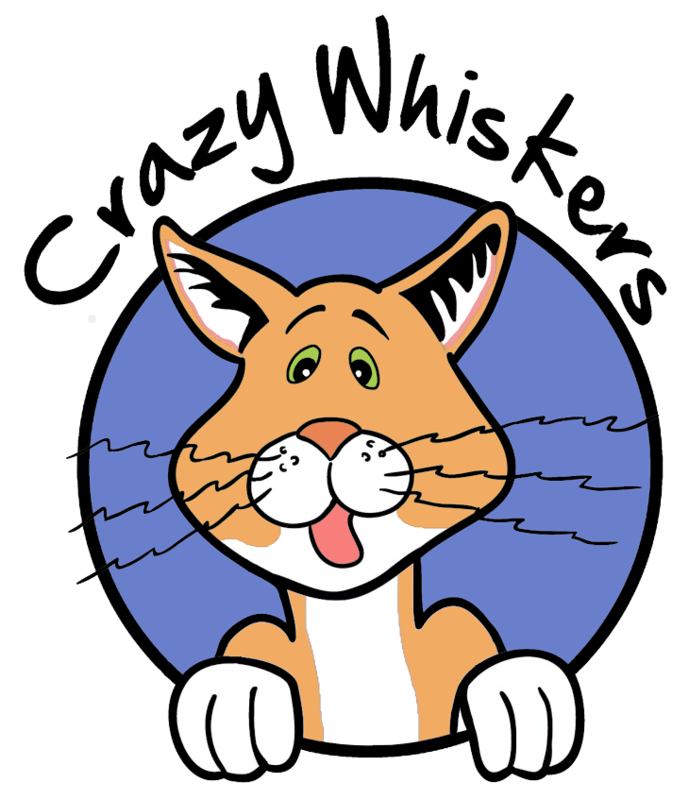 The name Crazy Whiskers originates from my ginger cat, Mr Weasely, who is now 14 years old. When he was a kitten, he was a bit too curious and stuck his face in a candle. Don't worry, he was alright, but he burned his whiskers and they were crazy! This is where my signature saying "That's just crazy whiskers!" came from. This website is a way for me to earn part of my living from home so I can be here with Mr Weasely, his other ginger brother, my dog and goats. About me: I grew up and still live in Ruch, Oregon which is near Jacksonville, Medford and the Applegate. I love all kinds of animals as they bring me joy. Since animals bring me so much happiness, so do animal-related items. This site is for me to sell animal themed items that I have collected or made in hopes that they will bring you happiness too!